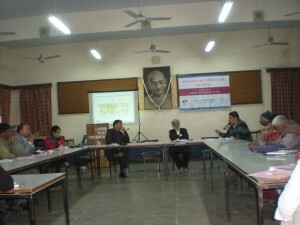 “Addressing Urban Poverty and Reformed Governance – National Campaign” was organized on 12th February, 2014 at The Auditorium, Gandhi Peace Foundation, Delhi. PRIA and Forum of Informal Urban Poor Workers (FIUPW) jointly organized the event. FIUPW’s manifesto on Urban Poor was shared with different media houses and later handed over to different political parties contesting for the general election 2014 in India.